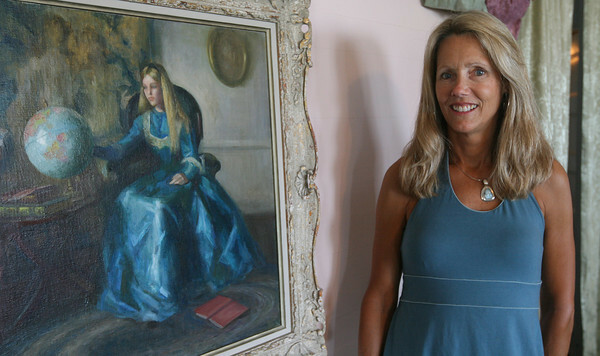 Alison (Cameron) Callahan of Rockport stands in front of a portrait that was painted of her when she was a girl by the late Marguerite Pearson, a noted 20th century American portrait artist. The painting is titled "The School Girl." Rockport Art Association opens an exhibition titled “Marguerite Pearson –- Hell on Wheels” with a free public opening reception on Friday, July 22 at the RAA at 12 Main St. from 6 p.m. - 8 p.m. The show runs through Aug. 23.